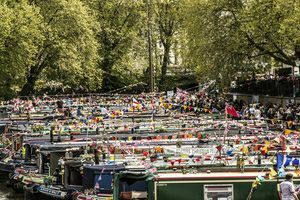 Boaters' Christian Fellowship: on the Inland Waterways. 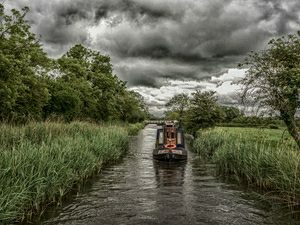 If you are a Christian, and have a love of the British Canals and Rivers, then the Boaters' Christian Fellowship is for you! Despite the name, you do not need a boat to be a member. Membership is open to anyone who agrees with our Statement of Belief. We are a diverse group of many denominations. Members of the Boaters' Christian Fellowship come from all walks of life and ages. Some just enjoy walking or sitting by the waterways. Many want to own a boat one day, or have sadly had to give up their boating life. Some enjoy Hire Boat holidays. Of course, a large percentage are currently boat owners or have a share in a boat. It is our shared love of our Lord, and common interest in the waterways that brings us together. We organise get-togethers throughout the year (formally and informally), and our Membership Directory ensures you can find other members near you. Our AGM is a lively affair, with members coming from all over the country to share fellowship and worship. As well as the formal meeting (which we keep as short as possible), there is plenty of time to get to know each other. We also enjoy a "Bring and Share" lunch - which usually has enough left-overs for tea as well!